The Energy Storage Promotion and Deployment Act of 2015, recently introduced by Sen. Marin Heinrich (D-NM) and Sen. Angus King (I-ME), seeks to create a National Energy Storage Standard. Similar to a Renewable Portfolio Standard, the storage standard would require electric utilities to meet a percentage of their generation via storage, in this case 1% of peak demand using any energy storage technology by 2021 and 2 percent by 2025. In real terms, utilities would have to add 8 GW of storage by 2021 and 18 GW by 2025. Available technologies range from electric and thermal salt batteries to pumped hydro storage and flywheels. When the amount of generated electricity exceeds real-time demand, the electricity can be stored using these technologies and deployed during hours when the ability of generation assets to meet demand is exceeded. In addition to alleviating peaks in demand, this ‘load-leveling’ can also assist in the integration of distributed renewable energy onto the grid and reduce greenhouse gas emissions by limiting the need to rapidly ramp up electricity generation, which can be very inefficient. Still, emerging storage technology faces planning, procurement and pricing challenges. To effectively utilize storage, utilities and regulators will need to identify the optimal location to place assets. Determining who should be responsible for purchasing storage devices can also be difficult, particularly in states where a utility must get regulatory approval for such investments. Finally, the lack of a clear mechanism to accurately value and therefore price stored energy injects a great deal of uncertainty into the market. Is the Energy Storage Promotion and Deployment Act of 2015 achievable in the given time frame? How should we address the challenges surrounding planning, procurement and pricing of energy storage? Great discussion post and encouraging legislation! Energy storage is a very challenging problem set especially if the renewables industry ever faces a resurgence as a result of the Clean Energy Plan, coal plant retirements and other drivers that result in more intermittent wind and solar on the grid (think California “duck curve” or Bonneville Power Adminstration in the Pacific Northwest and “oversupply”). While hydro pumped storage is the only cost-effective, proven technology without hazardous waste issues, long-term risks and ratepayer impacts, all forms of storage that address different timescales need to be explored and thoroughly studied in utility procurement planning process. Utilities aren’t known for being “fast followers”, so they need some cover from Public Utility/Service Commissions and state governments to ratebase feasibility studies that monetize the many ancillary reliability benefits that storage provides to the grid that demonstrate storage’s economic viability with ever higher and needed levels of renewable energy penetration. Lastly, natural gas [that has historically been very volatile] is not storage and is the “default option” for many utilities for future flexibility needs that is the de-carbonization equivalent of giving up a donut for a bagel. Bottom line — Hydroelectric Pumped Storage is a superior tool in the toolbox for a balanced, long-term portfolio that is both a generation and transmission asset. Seems a little early to assign storage goals. NY state’s new plans are trying a variety of storage options using storage at a variety of points along the generating path. I like the mid-hudson example, but all may work equally well. The storage market is just the latest example of the tail wagging the dog in the energy world. What seems to be totally missed is that the largest cost of renewable energy is not the capital or labor to keep them working, it is the variability of their supply that requires demand control, and storage to have any hope of working. What is worse is that almost without fail the costs of demand control and storage are not counted in the economic of renewable power systems. Because everyone is so focused on extracting the last watt of energy from the highest energy sources of Solar, wind, wave and tidal everybody seems to be missing the fact that everyplace the energy density is the greatest it is also the most variable. There are two hydro sources that are base load and one other “GEO THERMAL ” that can be base load and they are getting almost attention at all and no funding what so ever from either private or government source. That tragic fact is because nobody has taken the time to do the economics of a base load renewable energy system. I would think because they do not think that one exists. When you do run the economics you will discover that you can beat carbon and nuclear energy in a straight cost competition. There is even the ability if implemented properly to lower energy costs and greatly increase energy independence for our country and the world. Bruce, excellent point. Here in the Pacific Northwest, the Federal Columbia River Power Systems (http://1.usa.gov/1SKco1C) is greatly de-optimized because of wind. Wind is “must run” over hydro baseload. In effect, when the wind is blowing, it has priority over hydro and many times water/fuel is spilled over the dams. From an economic basis, we are trading $1-2/MWh hydropower for $50-60+/MWh wind power (http://fxn.ws/1LnsFr1). With a large-scale pumped storage project such as JD Pool, the system could be re-optimized to be most economically efficiently and balance the needs of the river with ecosystem services (http://bit.ly/1w2N1Kg). Thanks for this post. It’s good to see a continuing dialogue here on important emerging energy issues such as energy storage. I think Senators Heinrich and King deserve credit for identifying a need and initiating a national legislative dialogue on addressing it. In my experience, emerging energy technologies need a combination of federal (or state) direction and guidance, industry investment and interest and scientific engagement and collaboration to survive and thrive. That combined push often provides the necessary momentum for prices to fall, efficiencies to increase and usage to expand. It’s possible for new energy technologies to stand on their own without all three, but it’s much tougher. Of these three drivers, federal or state direction and guidance – when properly developed and executed – can be the strongest lever to spur growth of new energy technologies. California is a great example. The state’s mandate that investor-owned utilities in the state acquire 1,325 MW of energy storage by 2020 has been met with strong demand and involvement by all of the state’s utilities and the market has responded with enthusiasm – and utilities are helping to lead that charge. Other states are moving forward with requirements and other efforts to boost storage as well. To your questions about whether the requirements are achievable and how we should address the challenges of planning, procurement and pricing, I’d respond that Heinrich and King should keep advancing the conversation as the Senate Energy and Natural Resources Committee moves forward on comprehensive energy legislation this year (their bill was already included in one hearing held this month). Engaging industry and the research community in the dialogue can help refine the specifics. If California’s recent experience is an example, there could be appropriate ways to meet even ambitious targets with the right combination of federal, industrial and scientific participation in the conversation. We incentivize electric generation of all types, and we are beginning to provide incentives for energy efficiency – at least for the consumer-side of the equation. But the attributes of energy storage: arbitraging high and low electric sub-rates (demand charges, peak & seasonal power rates, and ratchet or spot rates); frequency control and electric power quality (surge, sag, & transient protection), and offsetting traditional back-up power costs (diesel generator monthly testing, O&M, and periodic fuel replacement). Monetizing these other costs whether tied to the electric grid or at the customer point-of-use has not been easy though I have included mostly battery banks in most of my projects over the last 15 years. Harmonizing incentives inutility regulation, interconnection, tax policy and government procurement for storage is absolutely incentive. This legislation is the start of this very needed and positive process, and should be taken seriously. It will add to grid resiliency, overall electricity reliability and power quality, and greater consumer and user protection. Yes, while there are 39 pumped storage plans in operation in the US and 270 either operating or under construction globally, one of the biggest barrier preventing new pumped storage in the US is economic analysis and modeling for sub-hourly energy grid services (i.e. grid harmonics, grid faults/stability, voltage stability, regulation, load following, spinning and non-spinning operating reserves, transmission congestion, scheduling/economics/emissions) and environmental benefits (i.e. greenhouse gas reduction, renewable integration, ecosystem function) that capture the full value of storage both as generation and load. DOE Argonne National Laboratory developed tools and provided analysis of pumped storage hydropower (http://www.ipd.anl.gov/anlpubs/2014/12/106380.pdf), but these tools need to be used by utility planners and balancing authorities to study what a system looks like with/without storage. On June 18 I exhibited my “Gallery of Clean Energy Inventions” in the Senior Center of Boulder City. Displayed were images and information on 43 generators, 18 advanced self-powered electric vehicle innovations, 25 radioactivity neutralization methods, 22 space travel innovations, 10 technical solutions to water shortages, and my own design of a torsion field school network. Also displayed were 24 movie posters and 52 colorful images taken by the Hubble Space Telescope. The exhibit’s pdf file is linked at both padrak.com/vesperman and commutefaster.com/vesperman.html. The I. N. Frantsevich Institute for Problems of Materials Science, Kiev, Ukraine, has prototyped a solid-state energy cell which produces 850-1040 watt-hours/kilogram. A key element of their crystalline lattice deposition method relies on the effects of a torsion field beam. The nickel-iron battery is a superior new type of electricity storage device with none of the drawbacks of all other types of batteries such as temperature sensitivity. It is actually a modern version of inventor Thomas Edison’s nickel-iron battery. Increasing the surface area of the electroplates by up to 1000 times greatly increases current output and allows much quicker charge/discharge rates. Different chemistry reduces the weight of the battery by 50%, reduces cost, and is much more environmentally friendly than lead. The first of several nickel-iron battery patents is US Patent No. 6,060,198 “Electrochemical Battery Structure and Method”. The I.N. Frantsevich Institute for Problems of Materials Science (IPMS), Kiev, Ukraine, has developed an energy storage device which works on a completely different principle from chemical batteries. Requiring only 15 to 30 minutes to recharge, IPMS crystal lattice energy storage devices produce the same current and voltage levels throughout 98% of their discharge cycle. They produce no heat during discharge, regardless of the rate at which they are discharged. Their quick recharge capability allows them to easily capture regenerative braking energy, extending the electric vehicle’s range. Their energy densities of between 850 and 1050 watt-hours/kg are about a third more than gasoline’s energy density of between 550 and 600 watt-hours/kg. They operate well in the temperature range of -40 to +60 degrees centigrade. The crystal lattice battery stores the charges in crystalline layers of a sheet-like material similar in appearance to mica. Due to nonlinear quantum mechanics effects, the electrical characteristic of each crystalline layer is that of a capacitor as thin as one molecule. Since capacitance is inversely proportional to thickness of the separation between layers, the practical consequence of the battery is to electrically function in a manner similar to that of a giant capacitor. A side benefit of these batteries is that they are made only of proprietary materials which are environmentally friendly, plentiful, and inexpensive. Essentially a very thin battery, the solid-state Quantum High Energy Density Storage or Retrieval (QUENSOR™) device has an energy density of about 1-15 kilowatt-hours/kilogram, which is comparable to gasoline, or more. A fundamentally new principle and a new method of manufacture are employed. Electric energy is stored or retrieved from quantum dipole electric fields throughout the volume of the QUENSOR™ film. Electric energy is stored in the QUENSOR™ film by charging the dipole electric fields from an electric energy source. Electric energy is retrieved from a QUENSOR™ film by discharging the dipole electric fields and supplying the energy to a load. Electric breakdown in the film is avoided because positive and negative electric charges in the film are balanced everywhere. Busbars attached to metal layers are connected to terminals for charging or discharging the QUENSOR™ film. A composite QUENSOR™ and light-polarizing photovoltaic film LUMELOID™ panel may be used for the storage or retrieval of solar-electric energy day or night on demand. The exhibit includes a few other clean energy inventions that function as self-charging batteries. The nickel-iron battery is a superior new type of electricity storage device with none of the drawbacks of all other types of batteries such as temperature sensitivity. It is actually a modern version of inventor Thomas Edison’s nickel-iron battery. I’d like to comment on the exclusion of energy storage before 2009. An energy storage device placed in operation before January 1, 2009, may not be used to achieve compliance with the energy storage portfolio standards established by subsection (b). I do not believe the exclusion is reasonable. The nature of energy storage is not “the more the merrier” and the location does matter. Most of the existing pumped hydro storage facilities were placed in operation before 2009. For the utilities that already have large pumped hydro storage capacities, it is unreasonable to require them to add additional 1% or 2% of storage capacities to meet the portfolio standard. The exclusion of existing storage capacities will result in an unreasonable distribution of energy storage and inefficient use of resources. There seems to be a disconnect between the drive for more energy storage and enhancing the attractiveness of renewable distributed electric energy sources. 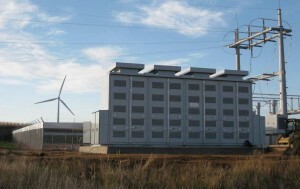 Energy storage upstream of the point of use, i.e., near the end user, would mostly benefit electricity sources that feed into the grid. For distributed renewable energy sources that do not feed electricity back into the grid the best location for energy storage is in the home or at a business. This would therefore eliminate pumped storage (which is already rather limited and has significant energy losses when going from “electricity in to electricity out”) and likely many other energy sources mentioned above like flywheels, compressed air, etc. The irony of this situation is that requiring a certain amount of energy storage may be of much more benefit to centralized sources of electricity than decentralized ones. Was that the intended outcome? Energy storage within the distribution grid and at the point of generation would likely make the cost of nuclear power even more attractive. Nuclear plants can run at a constant output and store excess energy when demand falls below the output. Enhancing nuclear power…was that the intended outcome? – political acceptance of irresponsible top down planning. The grid operators (ISO) and / or utilities are capable of planning the needs for system reliability and operating economy. Their capability is demonstrated every day by the results of grid operations; and they are accountable for the results. Of course energy storage capacity will be a boon for solar and wind generation, but who is to pay for it? And who will be accountable for any environmental impacts, unreliable grid operation, and increased cost that is likely to result from this legislation? I do not believe politicians, bureaucrats, and unaccountable entrepreneurs should be permitted to mess with grid operation. Regulatory authority is needed, but its responsibility and expertise does not, and should not extend to the specific details of system planning. Those who do the planning must be held accountable for the results.